We are engaged in B.O.D. Incubators which has been designed especially for biological Oxygen demand determination and Serum Enzyme assays test. We can also customize the B.O.D. Incubators to suit the varied requirement of the clients. Bacteriological Incubator are designed and manufactured to suit various I.S. & A.S.T.M. standards application in the growing field of Medical, Agricultural, Industrial, Research laboratories & Hospitals. 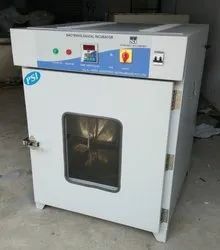 These high temperature laboratory Incubators are available in following technical specifications and can also be customized as per the specifications, provided by them.